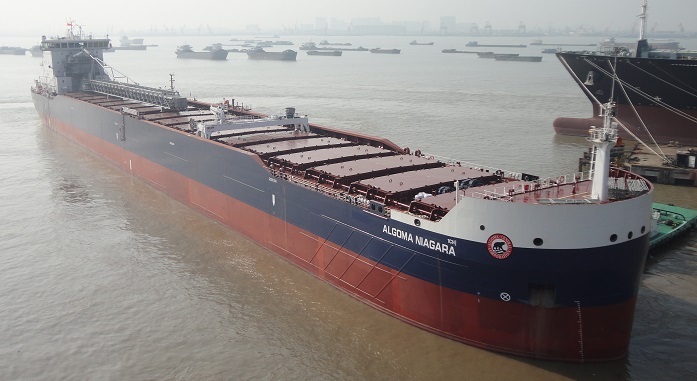 Algoma Central Corporation, a leading provider of marine transportation services, today announced that all of the Company’s domestic dry-bulk collective agreements have been ratified and will be in force until 2023. This includes four officer contracts represented by the Canadian Merchant Service Guild (“CMSG”) and unlicensed seafarer collective agreements with the Seafarer’s International Union (“SIU”) and UNIFOR. The renewed agreements provide for competitive compensation packages and increased flexibility in crew utilization and scheduling. Changes were also made to provide greater security for customers and shipboard employees of Algoma. “To everyone involved in this process, thank you for all of your hard work,” said Gregg Ruhl, Chief Operating Officer of Algoma. “These new agreements mean stability to not only our valued customers but to our current and future employees. We look forward to continuing our strong relationship with the unions and appreciate their support in the success of these negotiations” continued Mr. Ruhl. “SIU members are proud to serve on Algoma vessels. This new long term labour agreement gives our members the opportunity to plan for their families’ futures and the Company confidence to invest in the industry; it’s a win-win” said Jim Given, President of the SIU. “The shipboard officers we represent share a proud history with Algoma providing service to North American customers” said Captain Mike Burgess, President of the CMSG. “The new contracts provide the certainty required for our members to be able to concentrate on providing the quality service we are recognized for,” added Captain Burgess. “UNIFOR seafarers are proud of the service they provide to Algoma and its customers,” said Jim MacDougall, local 4401 President. “The new agreements provide reassurance for our members and many years of certainty for the Company,” continued Mr. MacDougall.